An unmarried, childless woman in her 70s, who suffers from cognitive decline and lives alone, has alleged Wells Fargo Advisors, its parent company, its bank, as many as 100 of its employees, and her own advisor, Russell Wixon, with whom she had maintained a 30-year-long client relationship and who is a Wells Fargo managing partner, all engaged in financial elder abuse. Plaintiff Karen Thompson, whose suit was transferred in November from state to federal court in California, alleges that because of her age and disability she was vulnerable to scammers who had her wire what ultimately amounted to her entire life savings – about $660,000 -- from her Wells Fargo accounts to Costa Rica. Wixon, other Wells Fargo employees, the bank, and the advisory firm allowed that fraud to take place – despite Wells Fargo’s marketing claims that its advisors are “intimately acquainted” with their clients’ financial goals and concerns, according to Thompson’s lawsuit. 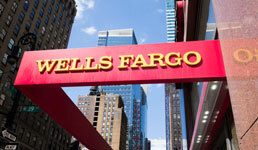 Moreover, the Wells Fargo defendants permitted the Costa Rican-based scammers to succeed, even though Thompson had never engaged in similar transactions in the 10 years of doing business with Wells Fargo Advisors, 20 years with Wells Fargo bank, and 30 years with Wixon, according to her lawsuit. Two years ago, in November 2016, Thompson suddenly and uncharacteristically began to withdraw large sums – between $29,000 and $108,000 -- from her retirement accounts and send them to her Wells Fargo checking accounts. Then she would go into the bank’s branch offices and request to transfer those sums by wire to Costa Rica, according to her lawsuit. Thompson repeated that pattern 12 times, according to her lawsuit. In her prior 20 years of banking with Wells Fargo, she had “never engaged in a single transaction in which she was sending any money, let alone huge sums, to a third party in a foreign country,” her suit states. Those withdrawals and wire transfers “each constituted a profound change in her banking pattern,” her lawsuit states. “Yet despite all these hallmarks of financial elder abuse, [Wells Fargo] defendants did nothing to stop it — nothing. Instead, defendants just continued to proactively take money out of her accounts and knowingly assist the blatant financial elder abuse of their long-time customer until all of her life savings was gone,” Thompson's lawsuit states. In an answer to her lawsuit, the Wells Fargo defendants, including Wixon, deny the allegations. They also state as an affirmative defense that any harm Thompson suffered was not caused by them, but rather by Thompson herself or third parties. The Wells Fargo defendants are represented by the Los Angeles-based law firm Munger, Tolles & Olson. Thompson is represented the San Francisco-based firm Stebner and Associates. Lawyers from those firms did return requests for comments. A Wells Fargo spokesperson declined comment.